March OFFER 50 % OFF ! For Combination Brows. Was price £349 .00 Now with 50 % off just £174.50. 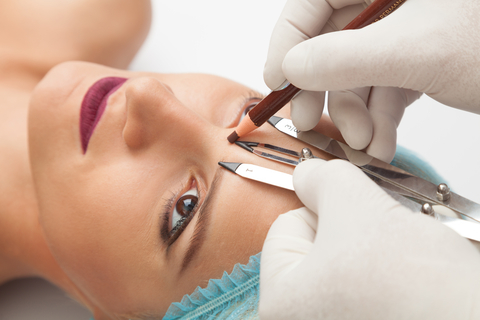 A eyebrows treatment is a three-part process usually completed within two appointments. The price you are quoted will include all three stages. Microblading- is a semi permanent technique adding hair like strokes to add volume and hair like texture to perfect the shape. Powder ombré- gives a light to dark ombré, lighter at the bulb (front) of the brow and going darker towards the tail. Powder ombré gives a soft powder makeup look that’s still natural looking. Nouveau Contour offers revolutionary permanent enhancements to brows, eyes and lips. The results are long lasting, saving you time on your daily routine. I am a professional permanent makeup artist who trained with the leading permanent make up company in the Europe. I keep myself up to date with all the latest techniques and continue to train, so I can deliver a highly professional service. We’re here to give you all the facts about Microblading before you pick up the phone to book your appointment.